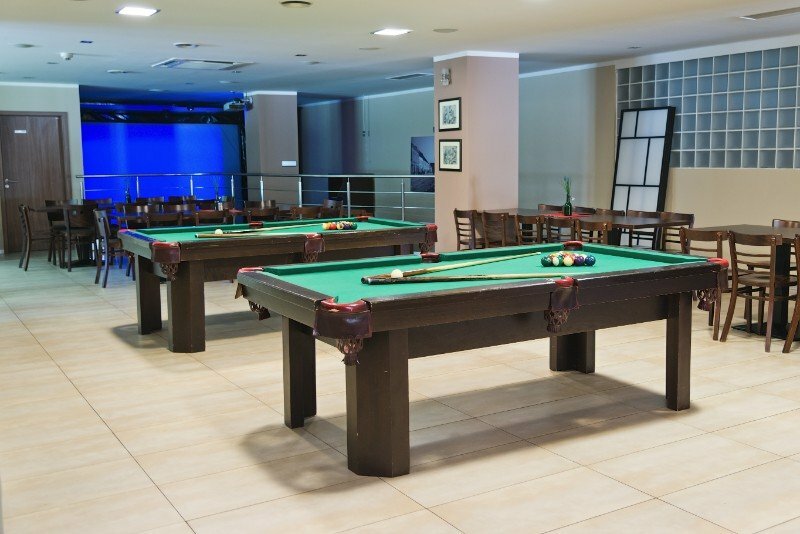 Hotel Victoria offers great selection of sport and social activities directly on the premises or in its immediate surroundings to make your free time count. The Turiec Region and Martin city are generous when it comes to various sport activities. The winters guarantee enough snow for all winter sports enthusiasts and in the summer you can enjoy numerous cultural or touristic activities. For more information about any of the above mentioned activities please reach out to our reception desk or e-mail recepcia@hotelvictoria.sk. There are 2 automatic bowling alleys that may be reserved even individually for at least one hour. 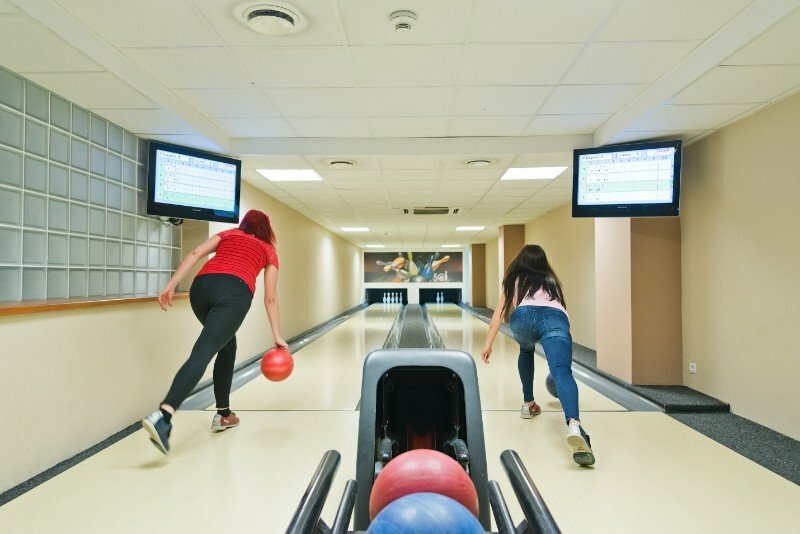 Bowling alleys can be also used as a part of a company teambuilding. For your refreshment during the game there is a nice bar with our bartenders at your disposal. Bowling alleys must be reserved in advance at the reception desk or by calling our phone lines. 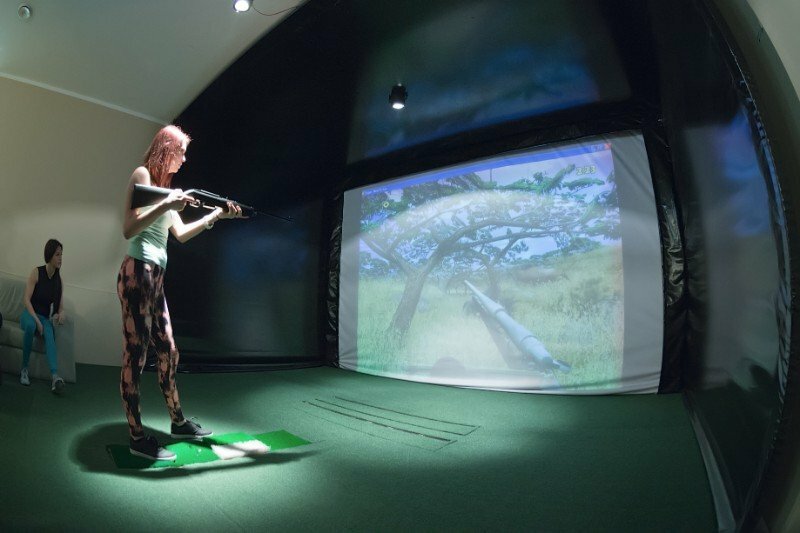 For those who are keen on any digital entertainment we have a hunting game simulator in 3D. Have fun hunting in warm and cosy environment of our hotel, or just watch your friends playing while enjoying our beer specialities. Our Fitness centre is equipped well for beginners as well as for more demanding customers. Fitness centre includes stationary bicycle, treadmill, bodybuilding tower and various dumb-bells. 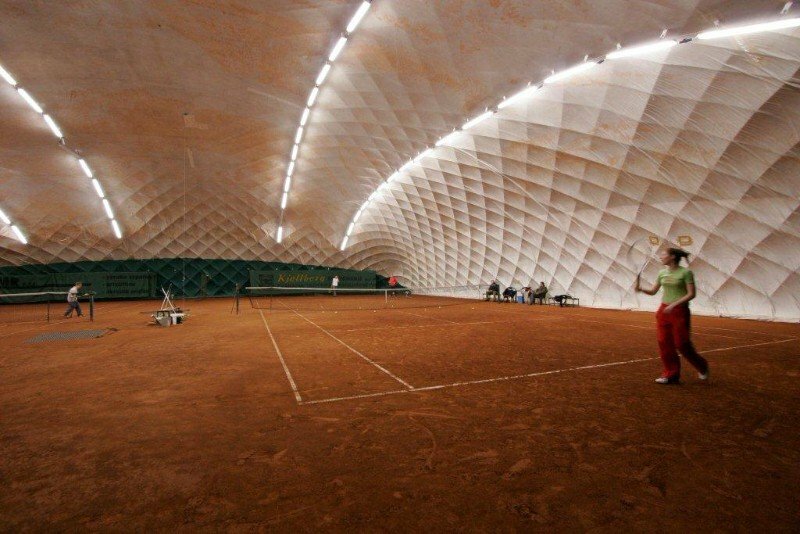 For tennis enthusiasts there are 4 clay tennis courts, 2 of them at your disposal year-round covered with tennis ‘bubble’ roof for the winter. 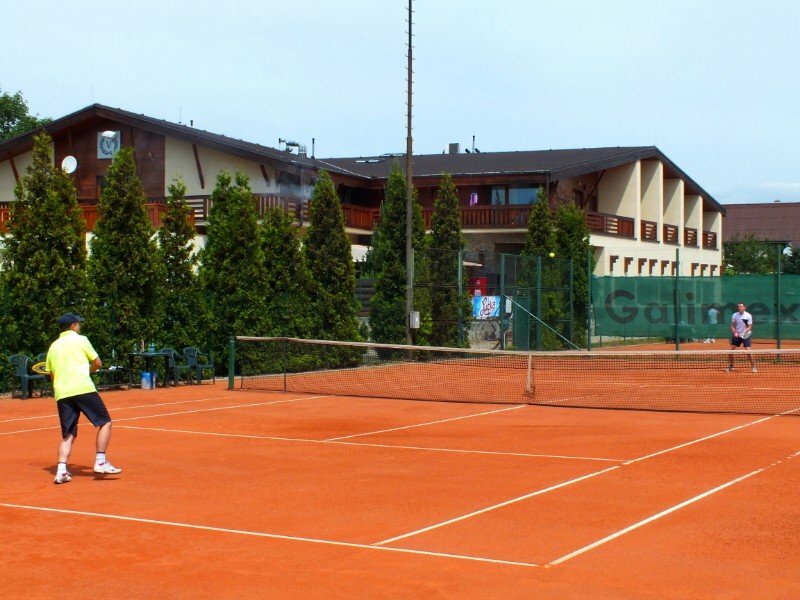 We also offer services of our skilled tennis coaches. For people more keen on faster games, we also have 2 squash courts available in a building next to the tennis courts. All squash fans are welcome! Adventure golf is a recreational sport and great fun for both kids and adults. 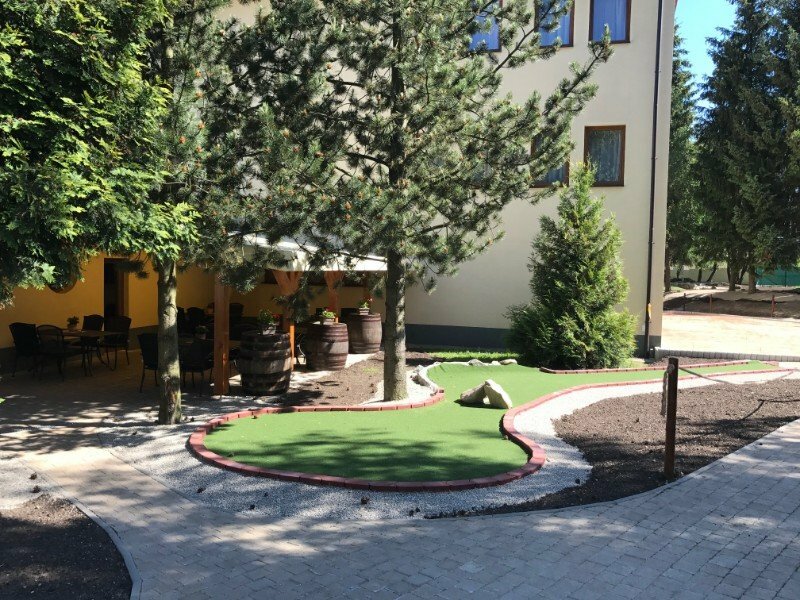 It is basically a classic golf played on a miniature golf courses that do not contain the classic mini golf obstacles, but they imitate real golf obstacles such as uneven surface, water traps, and other. Adventure golf is played on artificial grass which players walk on. The equipment used is usually putting clubs, or minigolf ‘hammers’, and a golf ball. 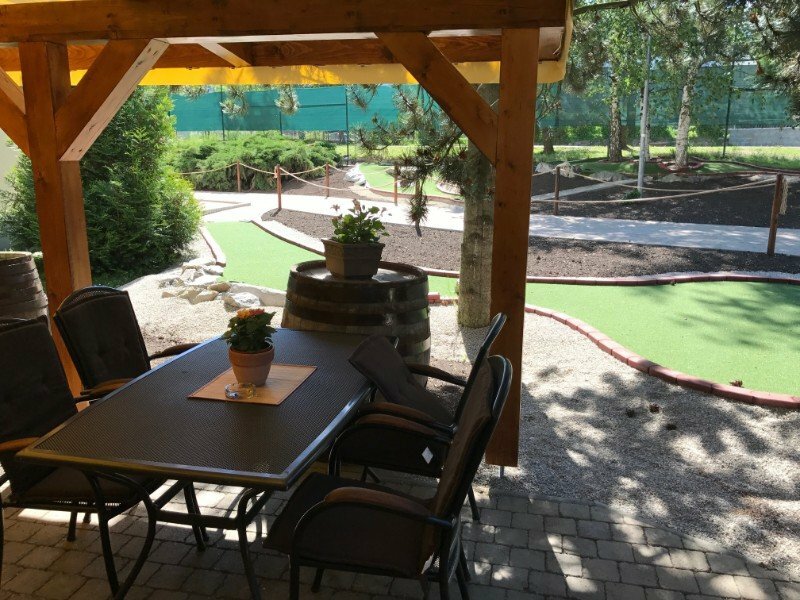 Our Adventure golf course has 9 holes and can be played by individuals or in teams. Maximum adviseable number of people on one hole is 4. Entrance is allowed only in clean and dry shoes. 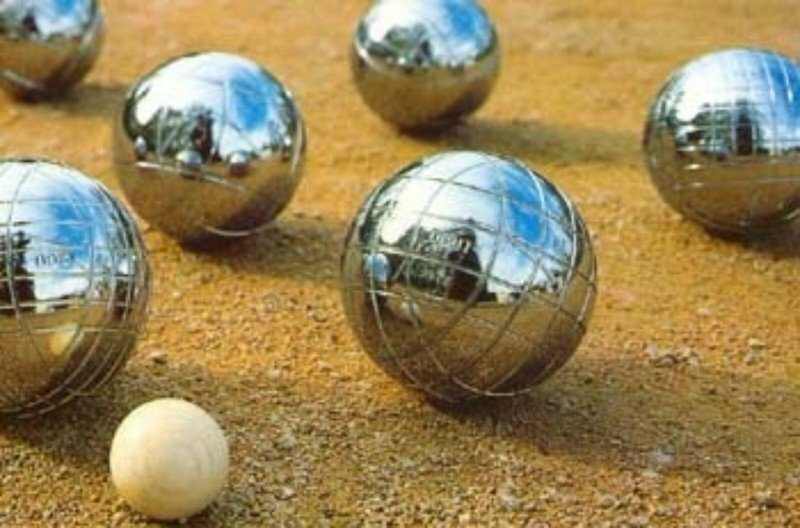 Petanque is a French game often played in social circles. With 1-3 members in a team, you try to toss the ball as close to the target as possible, target being a small wooden ball. There is an outdoor fitness park available for kids and adults. 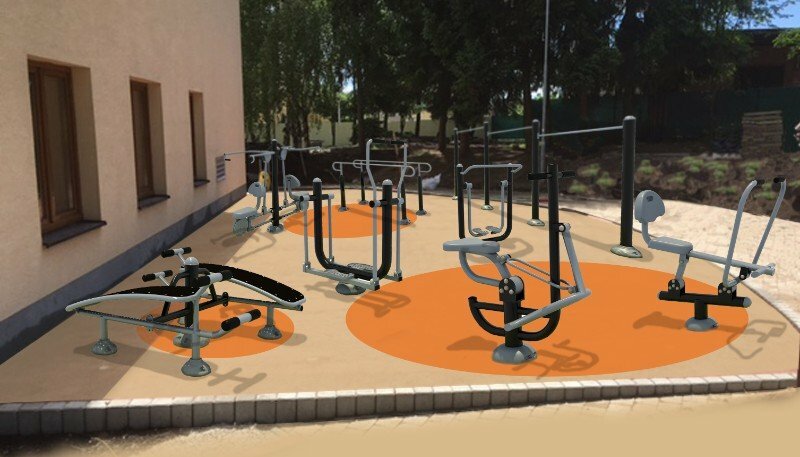 The outside exercise machines are a great option for your workout when you do not feel like being locked in the gym on a sunny day and you want to enjoy fresh air. In case you are interested in this activity, please get informed about the policy of use at the reception desk. 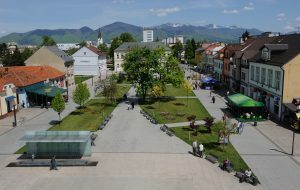 The city of Martin is located in proximity of the mountain ranges Velka and Mala Fatra which determines it to be a perfect place for sport activities such as hiking, mountain cycling, and winter sports. 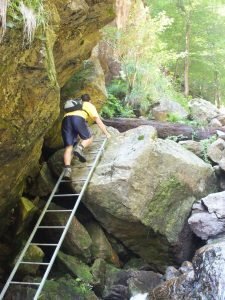 The hiking and cycling trails vary in difficulty from family-friendly walks in nature to demanding all-day hikes. For history lovers, the Martin city centre has a long cultural history, moreover there is several castles in the vicinity – Sklabina, Blatnica, and Zniev. There is a few archeological sights and medieval cultural monuments in the region. Martin is a parf of Turiec region and is located in so-called ‘Turiec garden’. This name defines the surrounding nature, embraced by the Velka and Mala Fatra mountain range. It is especially nature that charms all our visitors. In the summer time, a number of mountain cycling tracks and hiking trails can be discovered. The visitors may also take advantage of natural spas and aquaparks nearby, as well as visiting local ranches or sheepfarms. 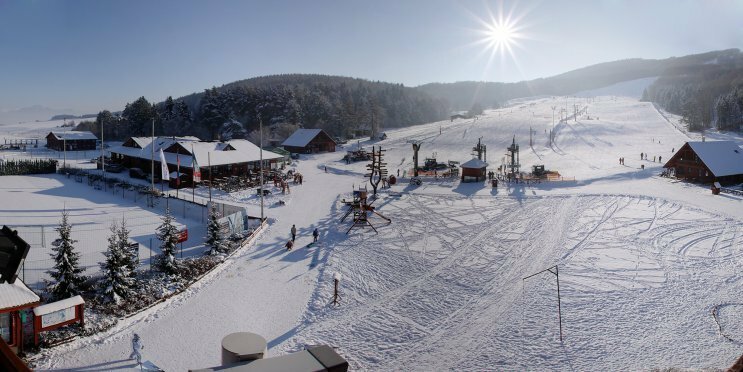 Thanks to the surrounding ranges of Mala and Velka Fatra and great snow conditions in winter, there are several ski resorts – Valcianska valley, Jasenska valley, Martinske hole, that offer plenty of ways to enjoy the winter wonderland, such as skiing, snowboarding, cross-country skiing, sledging. Well-deserved rest after a day in the mountains is waiting for you in already mentioned spas or aquaparks with year-round operation. Our hotel is located 2.8 km from the Martin city centre. The heart of the town is a ‘Millenium’ building, which became a building of the year 2003. It is positioned on the historical Theatre square (‘Divadelne Namestie’) which holds a lot of cultural events in the summer, for example the biggest outdoor theatre festival at the beginning of summer – ‘Dotyky a spojenia’. Other cultural heritage is visible in historical buildings such as the National House, Slovak Chamber Theatre, Turiec Gallery, or Catholic church of St. Martin. A picturesque sight over the whole city is offered from the area of Slovak National Museum. The Museum of the Slovak village, also called skanzen, is the biggest open-air museum of this type in Slovakia. 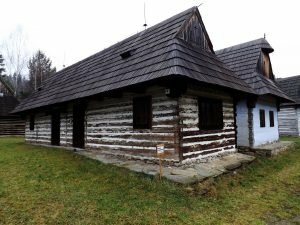 The museum presents northwest Slovak traditional folk architecture, typical in its habitation and lifestyle of traditional rural communities in Slovakia from the 19th to the early 20th century. In an area of 15,5 hectares there are 129 dwelling, farm, technical, social, and religious buildings. In this open-air museum, visitors can see interesting technical objects – such as vegetable oil production, worsted production and weaving cloth. The Strecno Castle is a reconstructed ruin of a medieval castle of an irregular plan located in northern Slovakia. The castle stands on a 103-metre-high (338 ft) calcite cliff above the international road E50 and village Strečno. Along with the Old castle constitutes a significant landscape landmark of the Upper Váh region. Nowadays, after reconstruction, there are expositions of the Vah region regional museum. Šútovský vodopád is a waterfall in Slovakia located in the Malá Fatra mountains, 4 kilometres (2.5 mi) north of the town of Šútovo in the height of 830 m, which is 19 km from the hotel. You can acccess the waterfall from the village following the blue hike trail. There is a big parking range at the beginning of trail. The difficulty of the trail is medium, starting at a concrete road, elevating to the forest track. The duration is approx. 1,5 hours and is suitable for families with children. Hiking trail Ferrata HZS – one-way hiking trail to Martinske hole, lasting approximately 4 hours with different levels of difficulty; it involves water cascades, ladders, bridges. Distance from the hotel: 2,3 km. 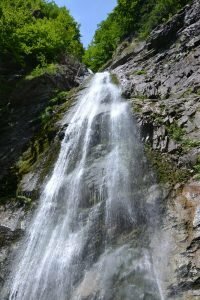 Hiking trail in Gaderska dolina – this valley attracts visitors to take a walk in a beautiful nature of Velka Fatra. 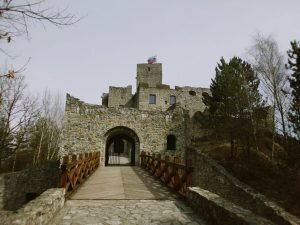 For hiking is ideal a non-demanding hike to Blatnica castle, for cycling follow the route to Certova brana. Spa and Aquapark Turčianske Teplice – favorite slovak natural water aquapark in a spa town Turcianske teplice. Thermal outdoor and indoor swimming pools, vital world, water slides, children’s activities. Spa Aphrodite in Rajecke Teplice – located on north-west of Slovakia, near Zilina. Relaxation pool, swimming pool, water world, and sauna world, it all can be found in Spa Aphrodite. 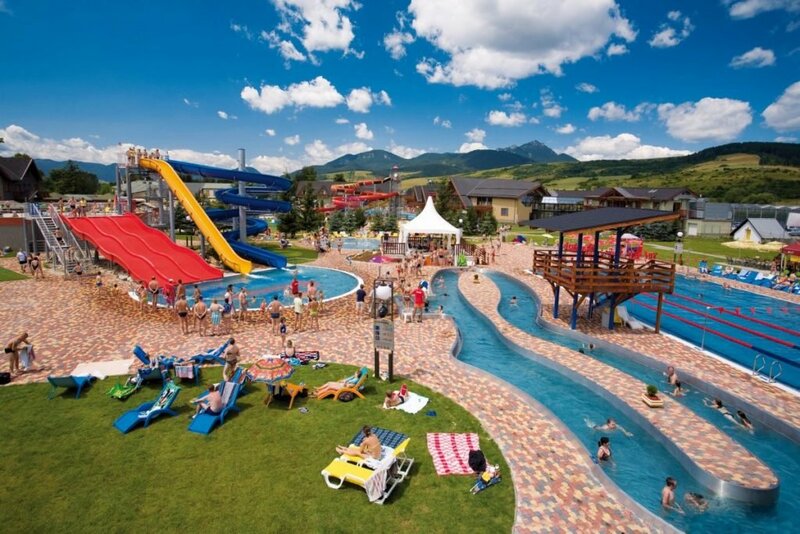 Gino Paradise Aquapark Besenova – is located in the region Liptov in spa village Besenova, 12 km from Ruzomberok. There is a number of swimming pools, jacuzzis, water slides and a wellness centre. Orava Castle – is situated on a high rock above Orava river in the village of Oravský Podzámok, Slovakia. It is considered to be one of the most beautiful castles in Slovakia. The castle was built in the Kingdom of Hungary in the thirteenth century. Rafting on wooden rafts in Strecno – The revival of traditional transport allows visitors to get to know the extraordinary number of cultural, historical, natural and technical curiosities that are all concentrated on this 7 km long stretch of the river.